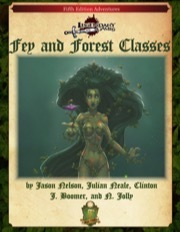 When your heroes strike out into the wooded wilderness, they’ll be prepared to face any challenge with the amazing options you’ll find in Fey and Forest Classes, whether they are hacking their own fledgling domain out on the borderlands of civilization or taking their first steps into the verdant realms of creatures that call the forest their home. 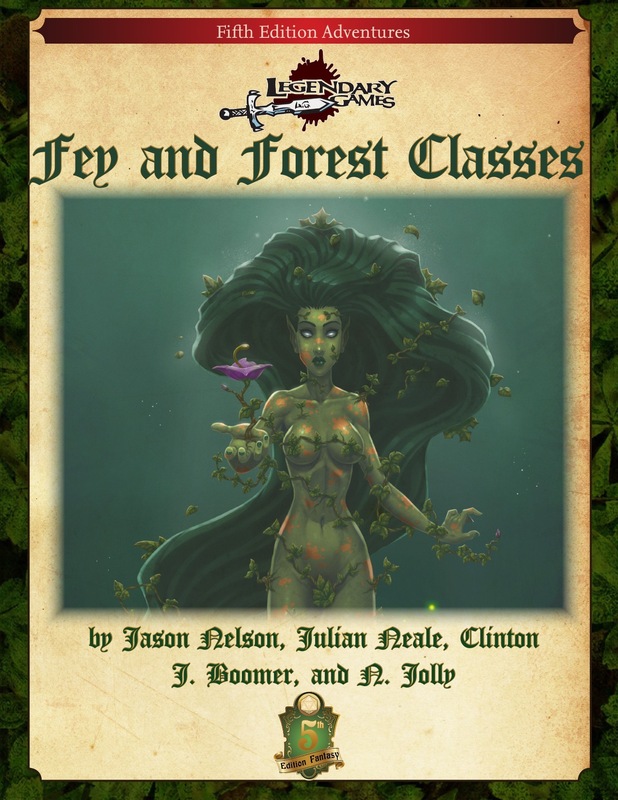 You’ll find nearly a dozen incredible archetypes like the explorer ranger, greenweaver druid circle, jester bard college, and woodlands cavalier fighter. You’ll also find new class features like warlock invocations and spells. Grab this 26-page 5th Edition accessory today and Make Your Game Legendary!